Where should video fit in with your recruiting process? Video’s place in the recruiting process has exploded in the past 5 years – with good reason. 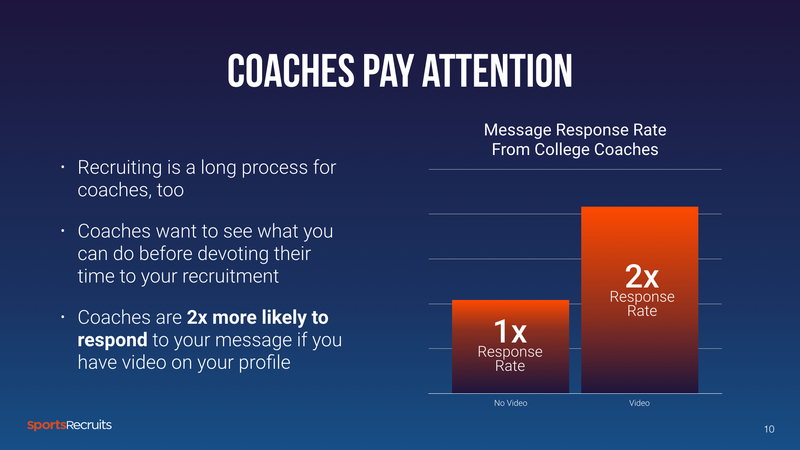 Data shows that when you send a message to a college coach, you’re 2x more likely to receive a response if you have video to share. 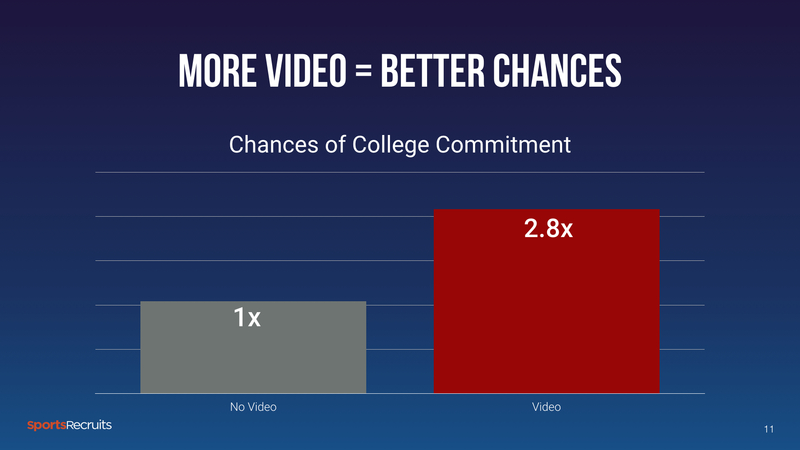 Players with video are nearly 3x more likely to commit to play in college than athletes without video. Why is this? And how can you put these odds in your favor? That’s what this webinar is all about!